Stone Age for iPhone screenshots. As more and more board games are adapted for digital play, we see many different approaches to the way that they’re developed. Some go for a very literal adaptation: the digital version looks as much like the physical thing as possible, down to the cards and little wooden meeples. Some (though fewer, in my experience) redesign the game, keeping the same game mechanics but changing the way it looks: what was a card in the original can instead be a figure, or a building, or whatever the card was intended to represent. I spoke with two people who have been involved in digital board game adaptations for the iPhone: Bradley Cummings of iOS Board Games has been reviewing board game apps for iOS on BoardGameGeek for some time. Cummings was recruited this year to lead product development for Tasty Minstrel Games’ For the Win , a 2-player abstract strategy game that successfully funded on Kickstarter earlier this year. John Meindersee II is the co-founder of Campfire Creations, which has been picking up licenses for board games to adapt for iOS. Campfire’s first app is the classic worker placement game Stone Age , just released this week. 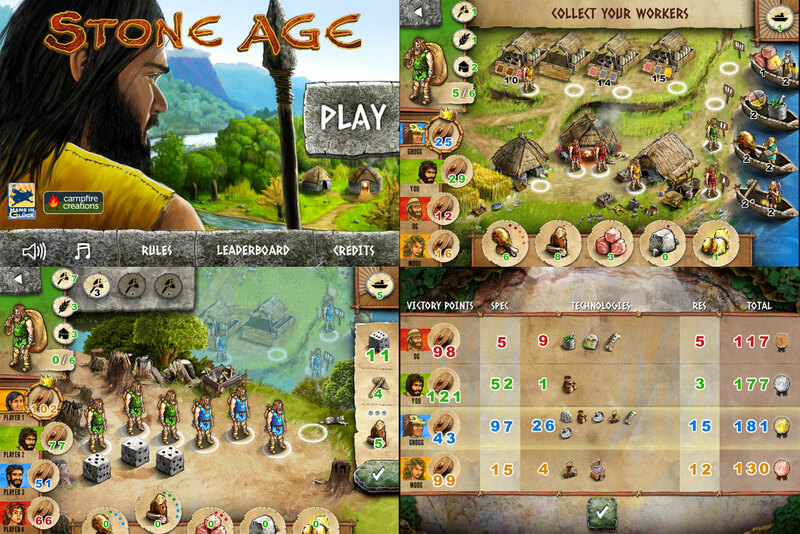 Stone Age is available now; I’ll have a review of that coming up. The short version: it’s a good adaptation that fits a large, complex game onto a tiny screen, but I’m looking forward to the iPad version when it comes! 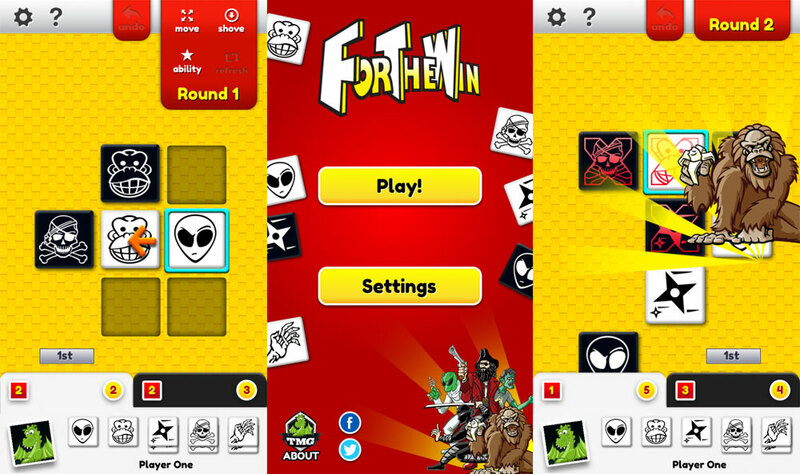 For the Win should be available very soon from the App Store — current release date (pending Apple approval) is December 18.